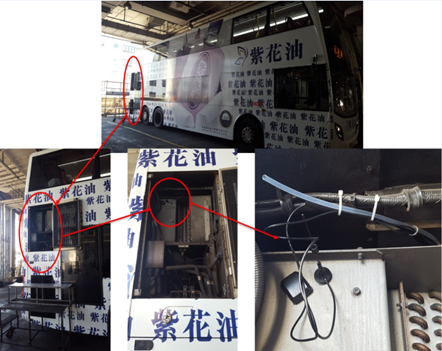 This study aims to establish first mobile sensor monitoring network in Hong Kong by installing air pollutant sensors on buses which could monitor real-time pollutant concentrations among the city. 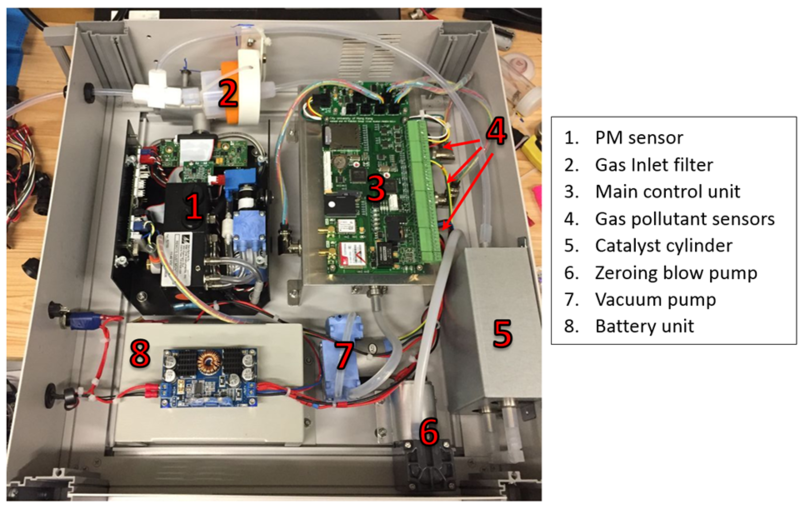 It also can draw pollutant distribution map citywide and identify air pollutant hot spot. Moreover, it reveals civic responsibility and contribution to environment protection by optimizing public transport routes. 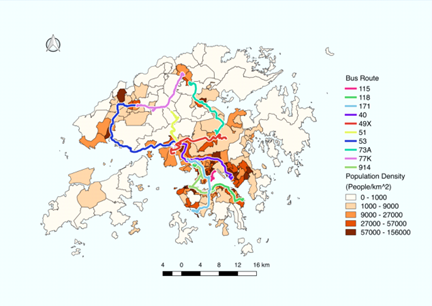 A few bus lines were selected which covered 14 districts and most of high population density areas, ensuring a strong representation in Hong Kong. 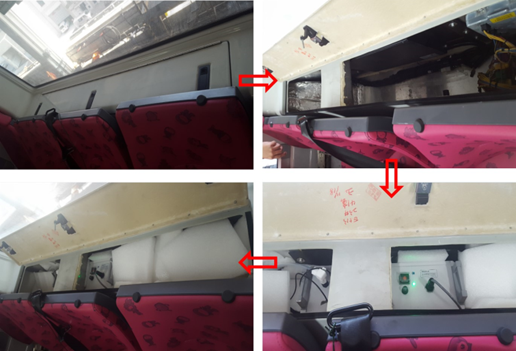 An aluminum suitcase housing all equipment was installed in the cabin on bus. A MASEN system consists of PM2.5 monitor, NO, NO2, CO and CO2 sensors, auto-zero module, battery unit and main control unit. All pollutant data were uploaded back to cloud server and stored in raw database. The calculation program converted raw data into pollutant concentration. Real-time and history pollutants concentration in all routes and citywide pollutant concentration distribution can be shown on website as well.